Real Madrid superstar Cristiano Ronaldo reportedly believes Liverpool forward Mohamed Salah will be his club’s first signing of the summer transfer window. The Portugal international is a key figure at the Bernabeu and it would not be unsurprising if he were kept reasonably in the loop about the club’s transfer plans. According to Don Balon, Ronaldo seems to have caught wind of the fact that Real Madrid are prioritising a deal for the €200million-rated Salah after his superb first season at Liverpool. The Egyptian goal machine has scored 41 goals in all competitions to win the PFA Player of the Year prize and help Liverpool into the semi-finals of the Champions League. 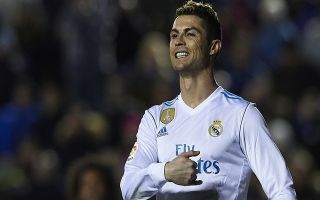 It may also have earned him a move to a genuine European super club as Don Balon suggest Florentino Perez is ready to do everything he can to bring the player to the Spanish capital. Perez does, of course, often get his way and Madrid have signed so many of the world’s most talented and most expensive players over the years. Salah would be another fine purchase for their collection of Galacticos and makes sense as an ideal replacement on the right-hand side for Gareth Bale, while his goal-scoring record could even mean he’d do a job of replacing Karim Benzema up front.